To provide a quick summary, though: Marsh was conceived in the Caribbean, born in Portsmouth, lived in the Mediterranean, kidnapped as a young woman by a Moroccan prince, married to an English merchant (who was well-off for a while, who invested heavily in Florida, and who then went bankrupt and fled to India), followed said husband to India, went off gallivanting for 18 months with a handsome younger ‘cousin’, inflicted a brutal childhood on her son, engineered a miraculously advantageous marriage for her daughter, endured a mastectomy without anaesthetic and died a few months later. What a woman. Colley protests throughout that Elizabeth Marsh was unique: her family circumstances combined with personal chutzpah resulted in a life that defies belief. And Marsh was unique, of course. But as I read a half-formed thought kept nagging at me. The unique Elizabeth Marsh reminded me very much of someone else: Bombay Anna. Susan Morgan’s biography Bombay Anna: The Real Story and Remarkable Adventures of the King and I Governess (University of California Press, 2002) is worth seeking out. I eventually found it in a large, reputable bookstore – no longer there, alas – shelved under the heading ‘Tourism, Thailand’. Curious. The King and I is my all-time favourite film. I went to Thailand for my honeymoon at least in part so I could visit the royal palace in Bangkok (you’ll no doubt be shocked to learn that it didn’t look quite the same as that depicted in the film – who’d have guessed?) You might remember the governess, Mrs Anna, dancing in her enormous crinoline. You must remember Yul Brynner in all his alpha male magnificence. Surely you sobbed at the end even though you’d seen it a hundred times. Or was that just me? Just an excuse to sigh over Yul Brynner, really. Anyway, according to wikipedia (it’s late, cut me some slack) Anna Leonowens became well-known with the publication of her memoirs, beginning with The English Governess at the Siamese Court (1870), which chronicled her experiences in Siam (Thailand), as teacher to the children of the Siamese King Mongkut. 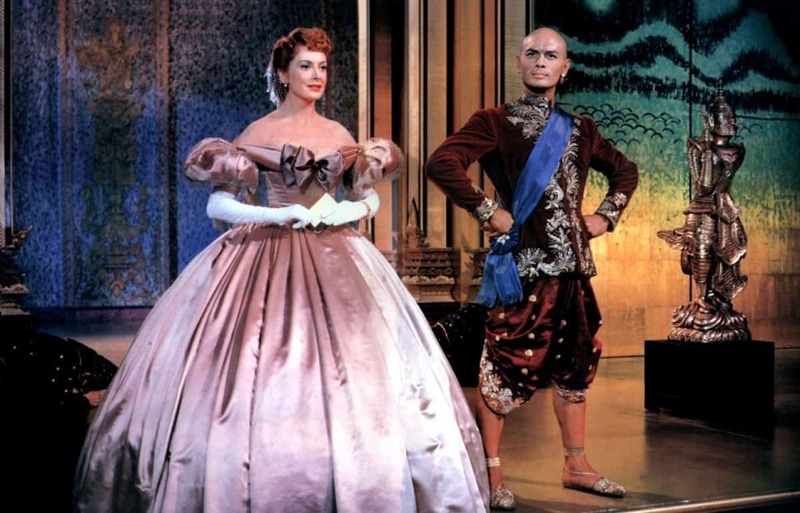 Rodgers and Hammerstein’s 1951 hit musical The King and I was inspired by Margaret Landon’s best seller Anna and the King of Siam, published in 1944. And while I was aware that The King and I was hardly a documentary, Morgan’s Bombay Anna reveals a woman far more interesting even than Debra Kerr’s glorious Mrs Anna. But you’ll have to wait until my next blog post to find out more….